Mi Dios!! We have a winner Poolers! Stu correctly guessed that Manuel Uribe, the world’s fattest ‘living’ man, would die this year, not only this, he ascribed him as his Maverick! Just to put this in context, nobody in the history of The Dead Pool has successfully scored a Maverick! We’ve come close with various overdoses and suicides, but this is the first time an actual Maverick has kicked the bucket! Well done Stu, a well deserved 192 points, which propels you to the top of the league table! Michael Gottlieb, 69, American film director (Mannequin), screenwriter (Mr. Nanny) and video game producer (Mortal Kombat 4), traffic collision. Manuel Uribe, 48, Mexican obese man, was world’s third-heaviest person, liver failure. Maya Angelou, 86, American author (I Know Why the Caged Bird Sings), poet (“On the Pulse of Morning“) and civil rights activist. Oscar Dystel, 101, American book publishing executive (Bantam Books), pioneered mass marketing of paperbacks. Malcolm Glazer, 85, American real estate executive (First Allied Corporation) and sports franchise owner (Manchester United, Tampa Bay Buccaneers). 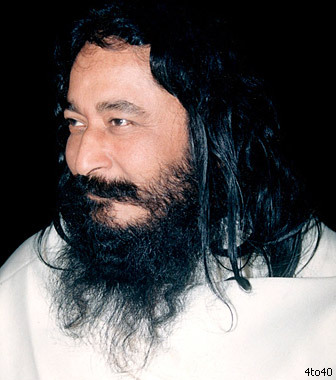 The family and followers of one of India’s wealthiest Hindu spiritual leaders are fighting a legal battle over whether he is dead or simply in a deep state of meditation. His Holiness Shri Ashutosh Maharaj, the founder of the Divya Jyoti Jagrati Sansthan religious order with a property estate worth an estimated £100 million, ‘died’ in January, according to his wife and son. However, his disciples at his Ashram have refused to let the family take his body for cremation because they claim he is still alive. According to his followers, he simply went into a deep Samadhi or meditation and they have frozen his body, as you do, to preserve it for when he wakes up. Unsurprisingly, his son Dilip Jha, 40, claims his late father’s followers are refusing to release his body as a means of retaining control of his vast financial empire. His body is currently contained in a commercial freezer at their Ashram. Two members of the Japanese girl group AKB48 were taken to hospital after being attacked by a man wielding a saw at one of the band’s meet-the-fans events. Rina Kawaei, 19, and Anna Iriyama, 18, both broke bones in their right hands and received cuts on their arms and heads caused by the 50cm saw at the event in Iwate in northern Japan. A 24-year-old man, identified as unemployed Satoru Umeta, was arrested on suspicion of attempted murder. AKB48 is part talent show, part pop act, in which a pool of more than 100 young women compete for a spot in the limelight when each new hit is released. Members must strive constantly for popularity if they wish to retain their spot, and girls who contravene strict rules, such as having boyfriends, are dropped back into the general talent pool. One assumes that both Rina and Anna will now be dropped due to their horrible scars and lack of fingers. Continuing in the same theme, Macaulay Culkin’s band was booed off stage at Nottingham Rock City at the weekend after fans took exception to the performance. The Home Alone star and his bandmates abandoned the show, which was part of the Dot to Dot festival, after just 15 minutes, following a stage invasion and interruption of Culkin’s kazoo solo. The reaction came despite a promise of free pizza for fans in the crowd. The group, who play Velvet Underground songs with pizza-themed lyrics had full pints of beer thrown at them. “Why are you throwing those?” Culkin asked the crowd at the Rock City venue. “I’d rather drink them.” But audience member Patrick Mendes was unrepentant. “I’m glad I lobbed a pint and I’m glad it hit you,” he wrote on the group’s Facebook page. Complaining about their “mockery” of “one of the greatest bands of all time”, he added: “Great art should never be compromised”. And finally, you might not have noticed, but we have narrowly escaped nuclear armageddon! 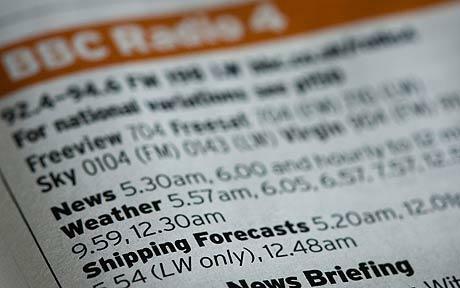 BBC Radio 4 failed to broadcast the Shipping Forecast for the first time in more than 90 years. The radio service is something of an institution, broadcasting four forecasts a day since 1924, a routine which failed for the first time at 5.20am on Friday. A technical glitch meant the BBC’s World Service was played in its place. As you all know, the longwave signal is part of the Royal Navy’s system of Last Resort Letters. In the event of a suspected catastrophic attack on Britain, nuclear submarine commanders check for a broadcast signal from Radio 4 on LW 198 to verify the annihilation of organised society in Great Britain, if they don’t hear the expected transmission, they are allowed the mother of all firework displays! Luckily they were able to resolve the issue at 5.40am when it cut back to the Radio 4 programme. Friday morning’s Shipping Forecast eventually aired 6.40am, thus ensuring world peace! 1831 – James Clark Ross discovers the Magnetic North Pole. 1960 – New Zealand‘s first official television broadcast commences at 7.30 pm from Auckland. 1967 – Sgt. Pepper’s Lonely Hearts Club Band by the Beatles is released. 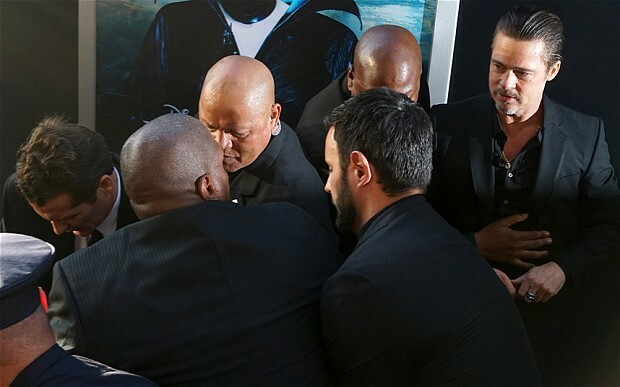 Stevie Nicks (66), Clint Eastwood (84), Brooke Shields (49), Mike Myers (51), Lenny Kravitz (50), Jack McBrayer (41), Kylie Minogue (46), Lea Thompson (53), CeeLo Green (39), Helena Bonham-Carter (48), Colin Farrell (38), Noel Gallagher (47), Anne Heche (45), Tom Berenger (65), Rupert Everett (55), Paul Bettany (43), LaToya Jackson (58), Gladys Knight (70), Philip Michael Thomas (65), Jamie Oliver (39), Colm Meaney (61) and Sharon Gless (71). This entry was posted on 1st June 2014 by kingofankh. It was filed under 2014 .